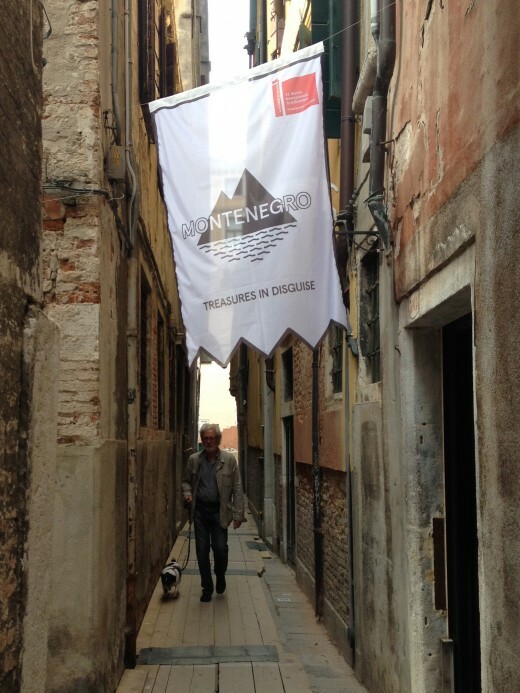 We’re looking forward to welcoming you all at the Montenegro Pavilion cocktail opening tomorrow at 18:00! Finding the pavilion is easy, but here are some tips to make finding it even easier. 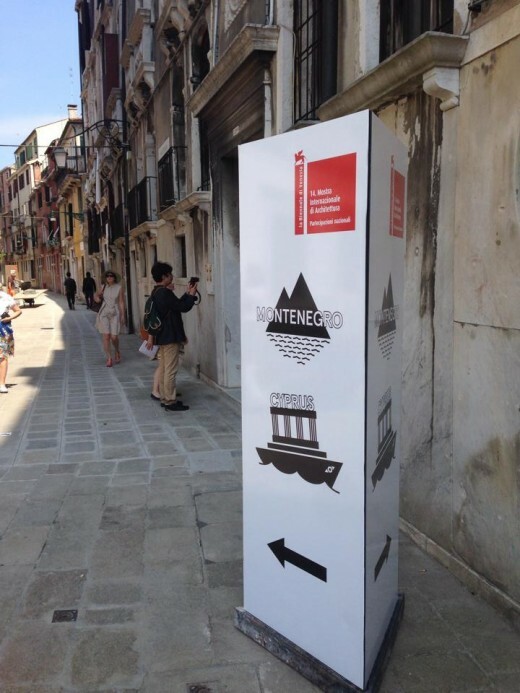 Water transportation to the Montenegro Pavilion is very convenient—the pavilion is located between the Campo San Samuele and the Accademia vaporetto stops. If you’re traveling from the Giardini, line 2 will take you to Campo San Samuele and Accademia in around 15 minutes. From the Arsenale, you can take line 1 to Accademia or Campo San Samuele. You can also Google map the location by clicking here. 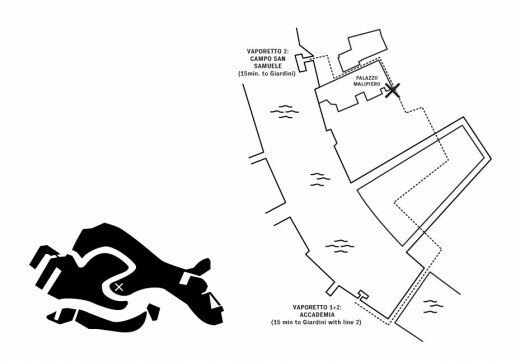 Map showing how to get to the Montenegro Pavilion by vaporetto. If you prefer walking, follow the directions to Accademia. Before you reach the Accademia bridge, take the first turn to the right and follow the directions showed in the map above. If you’re alighting at Campo San Samuele, look out for this totem pole pointing you in the right direction. And you’ll know you’ve arrived at the Montenegro Pavilion when you see this flag flying above.